The key to always looking your best and putting your best face forward involves time, effort and know-how. Haphazardly globing on foundation, after all will make you look like a mess instead of the beauty you are. When it comes to makeup tips, there are many out there. 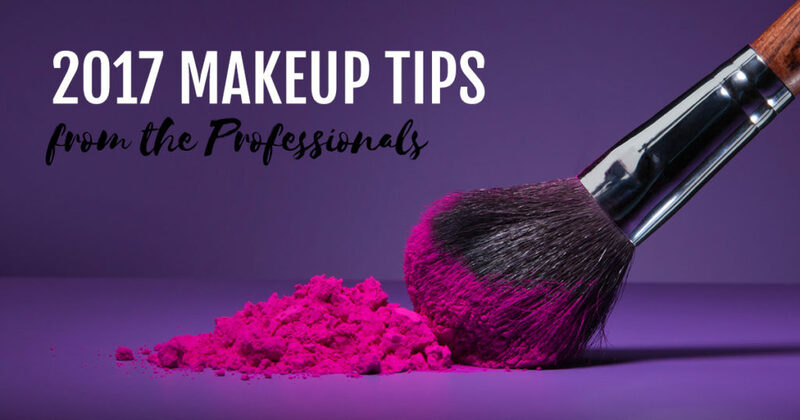 If you’re looking for a one-stop-shop for makeup tips from the professionals, you’re in luck. Before you apply a drop of foundation, make sure your face is not only clean, but also exfoliated, with the top layer of peeling skin removed. In the crisp, cool days of fall and winter, you can afford to slather on the makeup. In the toasty summer months, the heat and humidity mixed with heavy makeup is a recipe for a facial disaster. To avoid a hot mess on your face in the summer, go light on your makeup such as only dabbing some concealer over unpleasant spots. Both the scorching hot sun of summer and the cold, dry air of winter can do a number on your lips. The days are longer, the sun is stronger, and you’re often moving from one extreme temperature to another. Dry, flaky lips are the result. To avoid this, use a lip balm with hydration and SPF in it. Using a lip exfoliation product daily will remove the dead, flaky skin and start you off with a clean slate. What’s more convenient than makeup that can do it all is a makeup that is waterproof. Many mascara, powder blush, concealer and foundation brands offer waterproof versions of their products. With these moisture-fighting makeup products, you can say goodbye to that unpleasant sweaty look and the embarrassing racoon eyes. To make the cheeks look natural, apply the blush before the foundation. Apply a red and an orange-hued blush to accomplish the perfect youthful look. The red hue should be applied to the apple of the check while the orange-hue should be applied to the highest point of the cheek. To keep your blush vibrant for hours on end, apply a gel formula before applying a powder. Mixing moisturizer to your foundation will give it a lighter feeling and will keep your skin looking younger for longer. Mixing in shimmering white or golden eyeshadow into your foundation will give your face a vibrant, luminous look. For those with oily skin, applying a small amount of cornstarch before applying the foundation will help soak up the moisture and keep the foundation in place. The best color for your face is the one that matches the color on the inside of your arm, not the color on the back of the hand. Achieve a clump-free, precise mascara application by using the brush to lift the base of the eyelashes upward and then backward. Setting eye lotion into the freezer for a few minutes before application will reduce the puffiness of the eyes. A few drops of saline solution to your mascara will extend its usefulness, add moisture and maintain its potency. Create a young, fresh look by using luminizer in the inner corner of the eyes and sweep it under the eye. Neutralize lip tone and make their color more vibrant by dabbing color corrector over them. Make your lips look fuller by using a flesh-colored eyeliner to outline a small area of the lips. For natural-looking lips, select a lipstick shade that matches the shade of the inside of your bottom lip. You can also use the color found on the pad of your finger. Elevate your lips by applying concealer to the outer corners of the lips. Use a spoolie brush, toothbrush or mascara wand to apply a bronze or gold-colored pigment onto the brows to make them look longer. Strengthen and thicken your brows by applying a hydrating balm to your eyebrows before going to bed. If you found this interesting or if it has ignited a passion inside you, you may be cut out to be a beautician or a cosmetologist. Taylor Andrews Academy of Hair Design has well-known alumni who have gone on to open their own salons and more. Our classes are on-going, have flexible scheduling and are affordable. For more information about our schools or for more advice on how to put your best face forward, contact Taylor Andrews today.